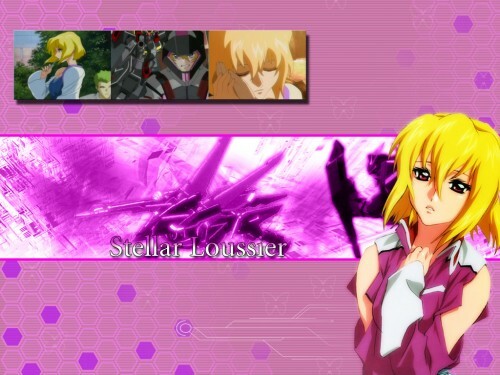 Browse Mobile Suit Gundam SEED Destiny Gallery: Recent | Popular. The wallpaper is really nice...thanks for sharing it! Stellar is a little weird....don't you think? I like the scan, it looks very nice. Also I like your background, sure it's pink, but it fits Stellar.